The first thing you may want to do is have a conversation with your locum tenens recruiter. It’s important to keep them updated on your career moves and your desired path, as they can provide support and guidance along the way. Some locum tenens agencies such as VISTA may also help clinicians find and obtain permanent positions, which can make the transition more seamless. This is an important step in making the transition from locum tenens to permanent, especially if you tend to change assignments regularly. Your CV should include your most recent jobs - ensuring all your time is accounted for - and include the months and years of each affiliation with an organization. It should also have title headings with a consistent flow and be presented in an easy-to-read format. Just as important, take time to customize the CV for each opportunity to ensure it is relevant for the position being applied for. Choosing where you want to live is key, as you’ll likely spend at least a few years there when working in a permanent role. It could be a dream location or your hometown, but it’s beneficial to nail down a location before beginning your job search. Once you do that, it is a good idea to begin working on permanent licensure in that state, as the process may take some time. Unlike locum tenens - where you can find a job, interview, and accept a position in a matter of days - it often takes much longer to land a permanent role. Continue working locum tenens while searching for a more permanent position. You may also think about applying for a locum tenens role in the location you are considering to determine whether it is really a good fit. 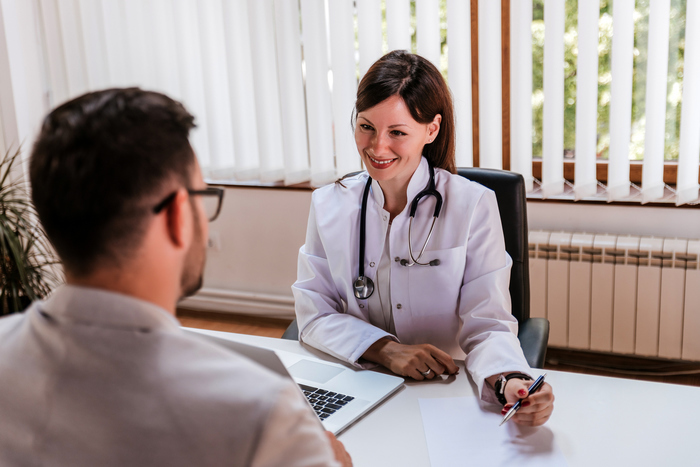 A working interview is when a facility hires a locum tenens clinician for a position on a trial basis to help them get acclimated to the area, coworkers, and the flow of the facility. The premise is that if it is a good fit, the locum tenens worker will be hired on a full-time basis. This is a great opportunity for someone looking for a permanent position, as the clinician gets to understand and adapt to the facility’s culture, work ethic, and philosophies regarding patient care. These are important factors to consider when accepting a permanent role, in addition to your personal needs and preferences. While the thought of transitioning to a permanent role may seem complicated, using these tips can make the process go smoother. It’s important to consult and work with your recruiter through this process, update your CV, choose the location where you’d like to work long-term and include working interviews into your job search strategy. Finally, when landing a permanent role, patience is key. It may not happen overnight, but the right position will eventually come. Learn more about VISTA and how we can support you in transitioning from locum tenens to permanent.